Good morning everyone. I'm sorry that this Bible Study is up a week late, but the last couple of weeks have been a little crazy in our house. I changed the reading plan to show the new dates for reading. I will try to stick to this plan, but other things may come up and we may have an extra week in between. What I will try to do is to maybe cover two weeks then, so that we don't fall farther behind. I want to thank all of you for joining me on this journey through the Bible. 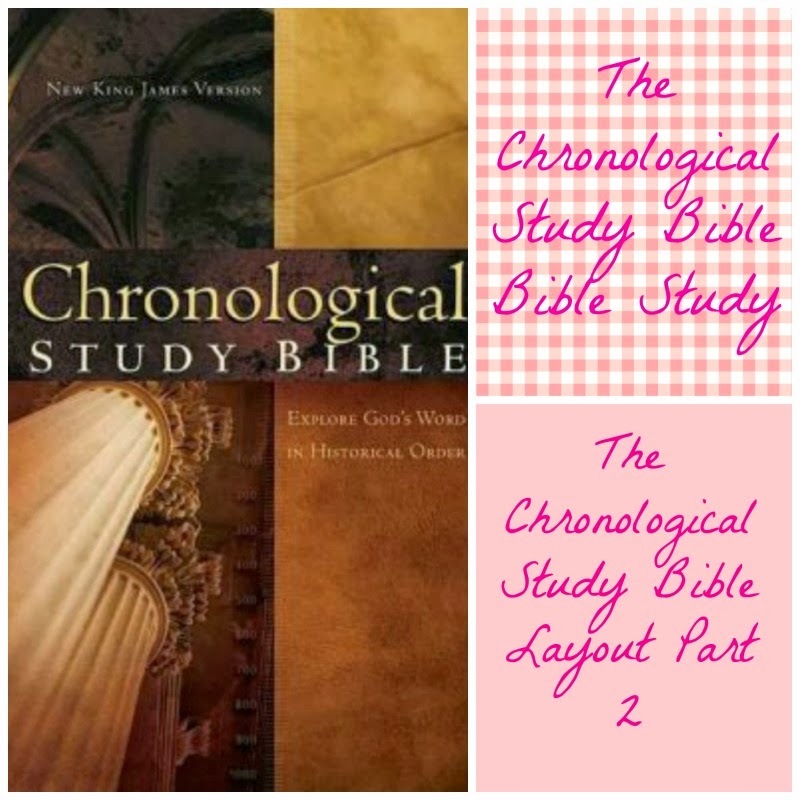 Now on to today's Bible Study with the Chronological Study Bible. It will just be Genesis 1 - 4. A little history of the area first. The earliest areas talked in the Bible were Mesopotamia and Egypt. Mesopotamia was separated into two cultures. The southern part has the earliest known people and it was known as Sumer or Southern Babylonia. They developed a city-state type of government with temple of the local deity being the center of economic, cultural, and religious life. They influenced the ancient near East, including the Israelites. The culture in the northern part of Babylonia were the Accadians. They existed as a single territory where the temples, palaces, and households were the important part of the economy. A northerner, by the name of Sargon of Agade, was able to unite the northern and southern parts of Babylonia. Egypt was also divided into two kingdoms. There was Lower Egypt around the Delta Nile and Upper Egypt of the Nile Valley. Egypt was ruled by pharaohs, and became united around 3000 BC, resulting in the First Dynasty. The Pharaoh's became know for their pyramids in around 2,7oo BC. The first human settlements are thought to be as early as 7,000 to 8,000 BC. The book of Genesis is basically divided into to parts, before the Patriarchs and the Patriarchs. The first part of Genesis is considered Primeval history. This would include creation of the earth and man through the Flood and Noah. This world would have been very different from the world that the Patriarchs experienced, or even what we would experience today. The second part of the book of Genesis would be from Abraham on, (the Patriarchs, Abraham, Isaac, and Jacob). Old Stone Age - before 10,000 B.C. Middle Stone Age - 10,000 B.C. to 8,000 B.C. New Stone Age - 8,000 B.C. to 4,000 B.C. Copper Stone Age - 4,000 B.C. - 3,000 B.C. Beginning Bronze Stone Age - 3,000 B.C. - 2,000 B.C. It is generally agreed by both secular and biblical historians that human civilization began in the Near East. It is difficult to date ancient civilizations, but they think that the first human settlements were about 7,000 to 8,000 B.C.. As humans developed different technologies we have been able to gather some dates at to when things happened. Things like irrigation, extracting copper, clay vessels, and the earliest stone tools, all give us an idea of dates in human civilization. Also, ancient writings from Egypt and Mesopotamia help give us another way to date things in history and the Bible. In The Book of Genesis, chapters 1 - 11 are about the story of creation and the earliest history of humans, and chapters 12 - 50 are about Abraham and The Patriarchs, the Isrealites, God's chosen people. In chapters 1 - 11 we are told of conflicts between people like shepherds and farmers, or conflicts with hunters. We also learn of their advancing technologies and skills which help them to build cities, or as in chapter 11, they try to build a tower to get to Heaven. The tower, or ziggurat, was a pyramid, so by this point in time they were learning how to build those large stone structures. In Genesis we also learn about a flood, which is also referred to in Egyptian and Mesopotamian writings. Genesis 1 is the story of creation. I found it interesting as I was reading P. 32, that in Gen 1:16 says there were two lights created by God were the Greater Light and the Lesser light, not the sun and the moon. This was supposedly done on purpose, because, both the sun and the moon were gods who were worshiped in middle east. This was done so as not to confuse people that the writer of the Bible, God, was not one of those gods. Egypt had a sun god Re, who created the world, and one of his eyes was the moon god, Tefnut. Another Egyptian god was Ptah, and his two eyes were the sun and the moon. In Mesopotamia, there was Shamash, the sun god, and night was seen as the sun passing into the underworld. The Canaanites worshiped Shemesh the sun god, but the moon god, was not as important. This Bible often says the author of Genesis, or the author of Exodus, I am just going to attribute the books of Exodus through Deuteronomy to Moses. I believe he wrote this with the help of God. So Moses when Moses wrote the story of creation, he made sure that anyone who read this book would know that the sun and the moon were not deities. That God, himself, was on a whole different plane. They are things simply created by God. This is the story of God creating the Garden of Eden, and man and woman. Adam and Eve lived in the Garden with the Tree of Life and the Tree of Knowledge and they were naked and not ashamed. So Eden is not only the name of the Garden, but also where it was placed. Eden has four rivers associated with it. Two we know are the Tigris and the Euphrates. The other two we know the names, but not where they were. They are Pishon and Gihon. Since we do know where the Tigris and the Euphates are, that would place Eden in Mesopotamia. It is thought that the other two rivers could be canals off of the Tigris and Euphrates. Some scholars also believe that the Gihon was in Cush, which was Egypt, so it could be the Nile. The Pishon was supposedly in Havilah, which could be Arabia or India, so this could be the Indus. Again, it is apparently difficult to place where these two rivers were. Since we know the Tigris and Euphrates, it would make sense that these could be canals. God told them not to eat from the Tree of Life or the Tree of Knowledge of Good and Evil. There was a serpent in the Garden, who told Eve it would be okay to eat from the tree. Eve ate from the tree and talked Adam into taking a bite of the fruit from the tree also. When God came into the Garden and asked where they were, they said they were hiding because they were not clothed. From there the story goes on, they were kicked out of Eden, and had to make their own way. This is the story of Cain murdering Abel, and Cain's decendent's and where they lived. When Cain left God he lived in the land of Nod. Because Cain had killed Abel, God gave Adam and Eve another son. His name was Seth, he also had sons. History - in 4:22 talks about Tubal Cain as an instructor of bronze and iron.